Before I start going on with the scientific facts of how gratitude benefits you, I want to give you my perception of it. If you don't care what I think, you can totally just skip to the next part of this blog. I was introduced to gratitude as most people are introduced by it. The inspirational quotes part of the internet and my mom nagging at me about how I should be grateful for what I have. And, when you hear/see it, it's like, "Yeah, yeah, yeah. I get it. Please leave me alone with that now." It wasn't until I really got into self-development before I started opening up my mind to what gratitude can actually do for you. 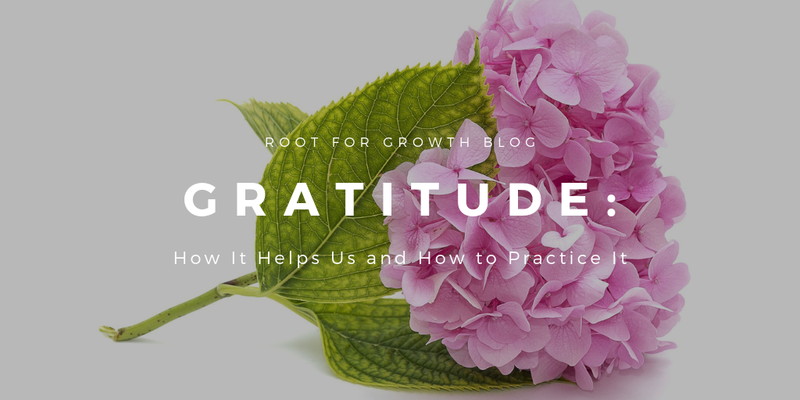 I was first introduced to the concept of practicing gratitude regularly by Lavendaire. 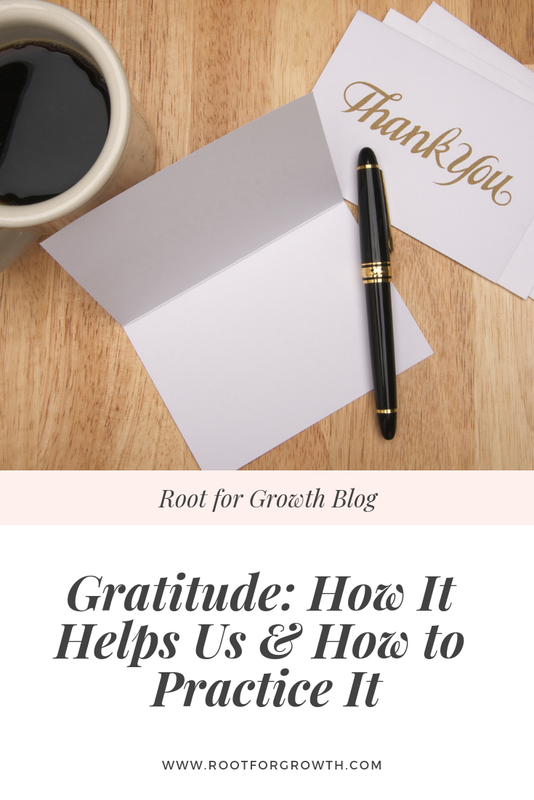 Basically, she said, and I'm paraphrasing here, if you practice gratitude consistently, you'll rewire your brain to see the good instead of the bad. You'll learn to appreciate the things that you have and change your mindset from a lacking mindset to an abundance mindset. If you're stuck in the lacking mindset, you'll never truly appreciate what you have and constantly be thinking that you don't have enough, whereas, in the abundance mindset, you'll realize what you do have and be appreciative for it. Makes sense, right? I figured I'd give it a shot because let's be real, I was kind of depressed and I knew that I had to change my negative thought cycle and this was easy and free enough. So, I did it. And, to be honest, I've definitely learned how to appreciate things more and pick out - or at least do my best - to pick out the good instead of the bad even if I'm having a bad day. After keeping a gratitude journal consistently, I realized that there's always something to be grateful for no matter how small. 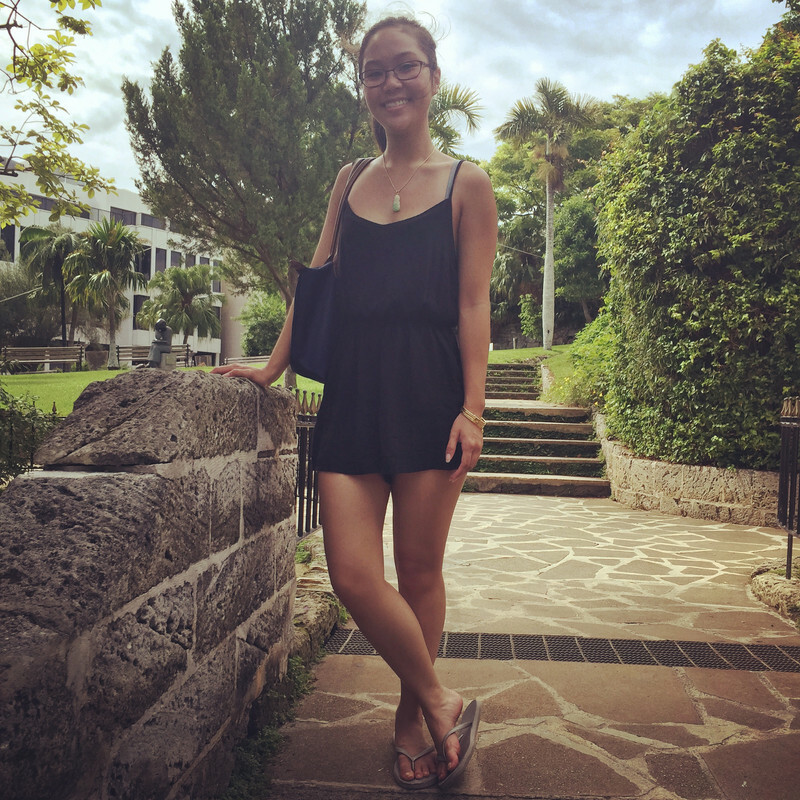 Overall, I've become more positive and happier since practicing gratitude. I personally think that it's a game changer especially for those who tend to be more negative like I was. I highly encourage you guys to try it out. (Duh, I'm writing a whole blog post about it.) If my story doesn't persuade you, maybe science will. Summarizing a 2011 study, researchers studied newly married couples for four years and measured the gratitude the partners felt for each other over the years. They found that the more grateful the couples felt for each other, the more effort they put into maintaining their relationships. In other words, if I see that you are putting effort into our relationship, I will feel grateful. I will want to keep a relationship with you and do what is important for you to want to stay in this relationship, too. But, just feeling grateful isn't the only thing that can factor in improved relationships. Expressing your gratitude plays a role, too. 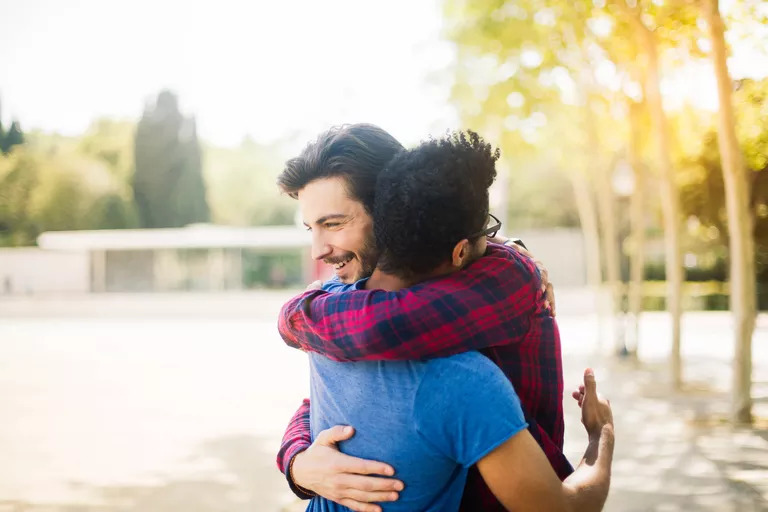 It can actually change the perception of the relationship for the person who is expressing their gratitude by changing the person's sense of communal strength in the relationship (Lambert et al., 2010). In other words, the person will see the relationship as more mutually beneficial and supportive. Yes, you can actually go to sleep more easily if you practice gratitude regularly. In a PsychologyToday.com article, it mentions a Robert Emmons and Michael McCullough study, which studied people with neuromuscular disorders who had trouble sleeping. After three weeks of making nightly lists of things that they were grateful for, they found that the test participants slept better. To understand why this was, researchers from the University of Manchester had 400 people participate in their study. These 400 people were from various adult age groups and had various sleeping patterns. In fact, 40% of them had sleeping disorders. The study consisted of the test participants filling out surveys about their pre-sleep thoughts, their sleeping patterns, personality, and how much gratitude they felt. 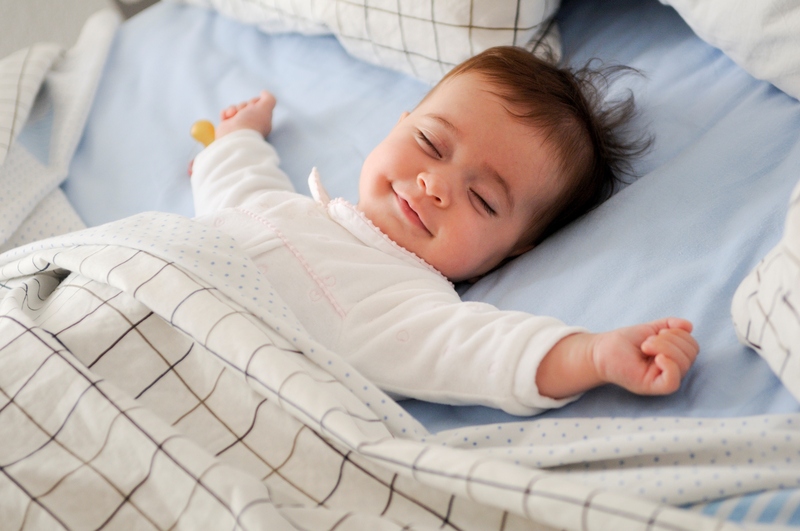 The researchers discovered that gratitude helped people sleep better because they had more positive thoughts prior to sleeping. Those with more negative thoughts would keep themselves awake. So, instead of staying up at night thinking about all your problems and all the bad stuff might happen, you'll be sleeping with positive thoughts in your head. One 2002 study found that if you see yourself as a recipient of other people's generosity, it makes you feel valued and increases your self-esteem. This, in turn, will decrease your sense of worthlessness and your self-criticism. Adding onto that, grateful people are more likely to focus more on and appreciate the positive things in life, even their own positive personal characteristics, so, they are less likely to have the negative narrative of not being good enough (Petrocchi & Couyoumdjian, 2013). Lastly, gratitude actually increases your oxytocin levels (Algoe & Way, 2014). Oxytocin is a hormone that is responsible for feelings of empathy, relationship-building, trust, sexual activity, feelings of pleasure, and it actually improves the way that you perceive yourself by enhancing your ability to think of positive adjectives to describe yourself (Colonnello & Heinrichs, 2014). This point is connected to the point above. Between increasing your self-esteem and oxytocin, decreasing your sense of worthlessness and self-criticism, there's no surprise gratitude could reduce your anxiety and depression. 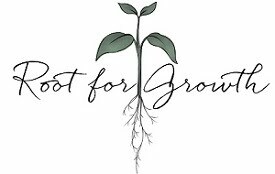 In addition, grateful people are more likely to reassure and encourage themselves as opposing to self-criticizing themselves during difficult times (Petrocchi & Couyoumdjian, 2013). According to a study done in 2001 by McCullough and his colleagues, gratitude has a moral effect. To sum it all up without getting too scientific, gratitude makes you see yourself as someone who benefits from someone's "moral actions", so you'll act more kindly toward people who you feel more grateful for. This, in turn, would make you less likely to be aggressive and angry (DeWall et al., 2012). DeWall et al. also suggest that gratitude motivates people to act more with sensitivity, compassion, and empathy toward people, in general. And, because you're more sensitive towards other people's feelings, more compassionate, and more empathetic, you're less likely to be aggressive. Overall, they found that by practicing gratitude, you're less likely to be aggressive on a daily basis, won't get your feelings hurt so easily, have less aggression when you feel hurt or insulted, and overall have a less aggressive personality and are more empathetic. There have been multiple studies that prove that gratitude improves heart health. One of them being a 2015 study that I found in a Right as Rain article where researchers asked 186 men and women that were in danger of heart failure but didn't have any symptoms, like shortness of breath and/or fatigue, to complete psychological questionaries. They found that gratitude was correlated with less inflammation. This is a good thing because inflammation accelerates heart failure advancement. The researchers, then, had the participants write down what they were grateful for every day for eight weeks. They found that not only did they have less inflammation but healthier heart rhythms, too. Another study conducted in 2017 found that people who were more grateful had lower levels of a protein found in red blood cells called hemoglobin A1c (HbA1c). HbA1c is a result of glucose sticking onto your red blood cells. If there is excess glucose or if your body doesn't use it properly, glucose will stick to your blood cells and build up (Diabetes UK). This build-up can lead to high blood sugar and diabetes. By now, I hope you're convinced enough to just try practicing gratitude on a more regular basis. 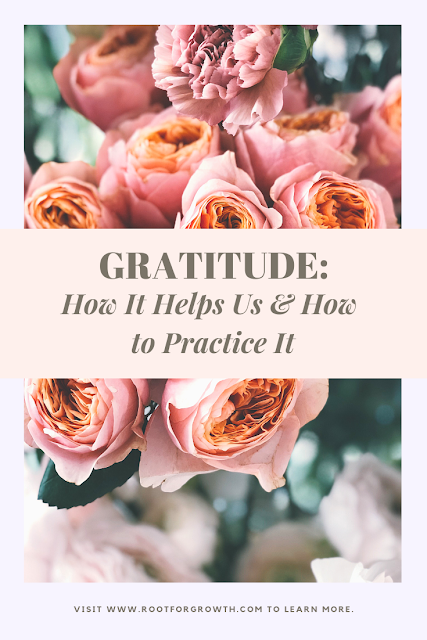 So, I've compiled a list of some of the many ways to practice gratitude to get started. Of course, these are just ideas. If you know a better way that works for you, do that instead. And, please share it in the comments below! Remember, the more you practice regularly, the more benefits you reap! Put an alarm on your phone to remind you to practice gratitude every day, every couple of days, or weekly. Sounds corny, but it works. You'll start seeing the little things that brighten up your day a little bit even if you were having a crappy day. And, don't cheat on this experience and say your family or friends every day. I'm sure they're great, but that's not the point of the exercise. It should be specific to the day. It also doesn't have to be huge paragraphs if you don't want it to; you can also bullet journal. That I remembered that I put the passports in my suitcase and that we didn't leave it at the other hotel. Going on the bus to Da Lat from Nha Trang because it was cheap. Getting Eat, Pray, Love by Elizabeth Gilbert from that kind, old man for like 4-5 bucks. If you want the pages to be all set up for you to write, you can google or search on Amazon "gratitude journal" and so many pretty ones will show up, like the one above. But, if you prefer to structure it yourself, you can do what I did and get a regular journal and design it however way you want. 2. Keep a gratitude calendar. Not a journal person, but like calenders? No problem. Use a calendar instead. 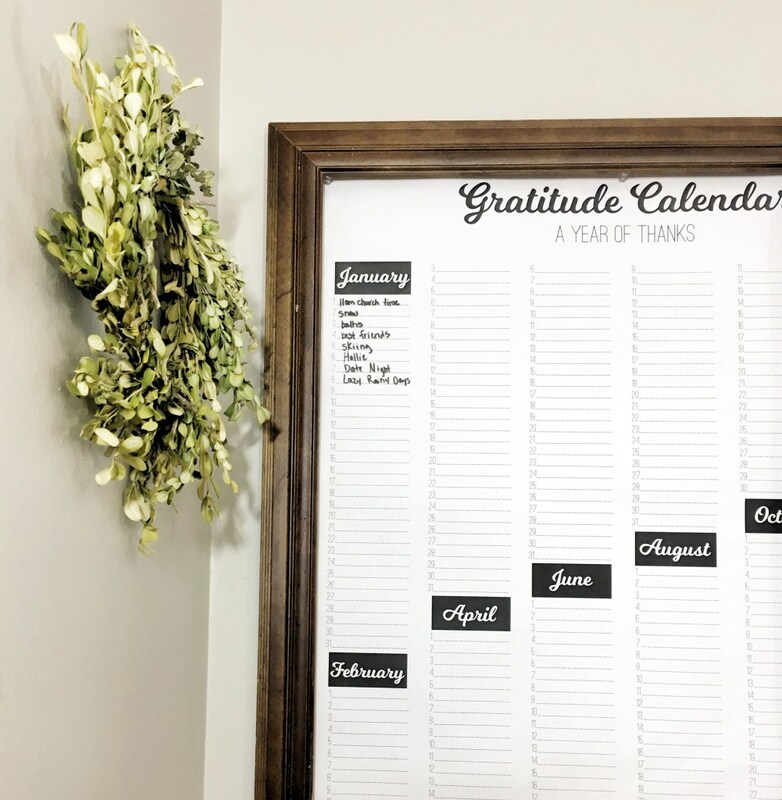 Write the things that you're grateful for on the appropriate date on your wall calendar or desk calendar or a monthly planner. 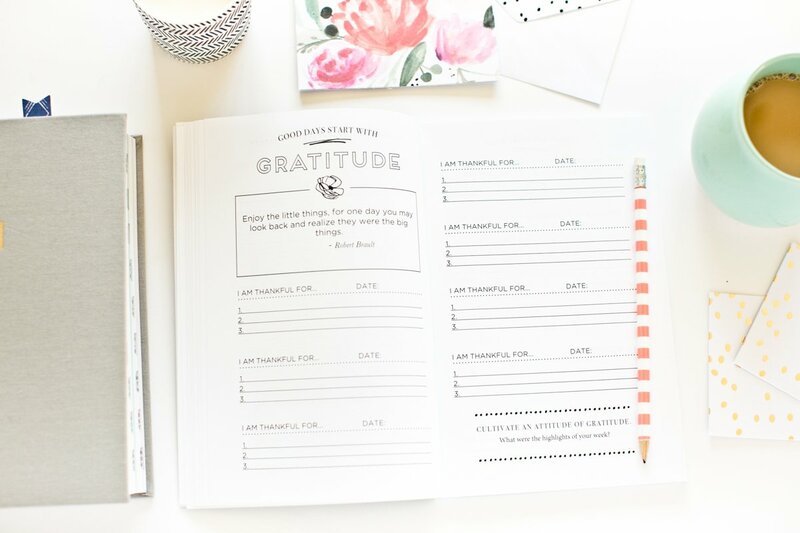 Keeping a gratitude calendar helps you see visually how many days you took time to write down what you are grateful and what days you didn't. 3. Let someone know that you're grateful for them. I know a lot of people are scared or uncomfortable with sharing their feelings with other people, but maybe this is the time to face your fears! After all, letting someone know that you're grateful for them is a good thing for both parties. You get to practice gratitude and the other person will feel appreciated by you. 4. Write a letter to someone that you are grateful for. If you like the idea of letting someone know that you're grateful for them but don't want to tell them directly, write a letter to them. 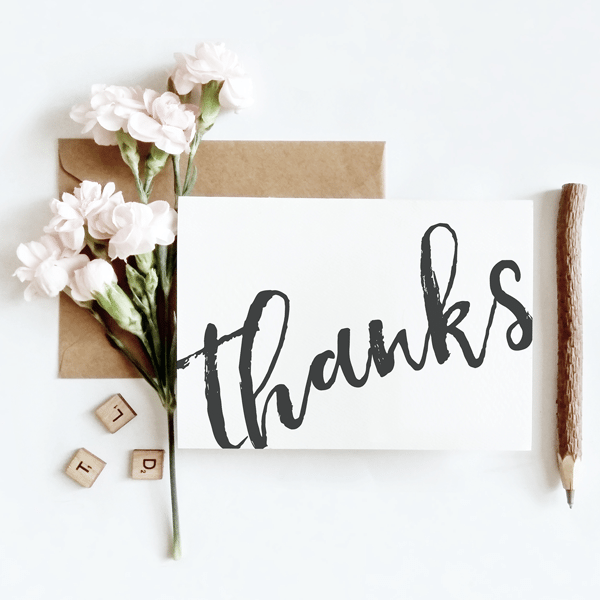 Even just writing the letter you'll get the benefits of gratitude if you do it on a consistent weekly basis for at least 4 weeks according to a study done by Dr. Joel Wong and Dr. Joshua Brown at the Indiana University. So, you don't even have to send it! If you believe in the power of affirmations and say or start saying affirmations on the regular, this is the way to go. If this is a new concept for you, I'll explain briefly what they are. Affirmations are statements that you tell yourself - positive or negative. You subconsciously have affirmations that you say yourself already. You might say, "I can do this" in challenging times. Or, if you have more negative thoughts, you might even say, "I'm stupid." 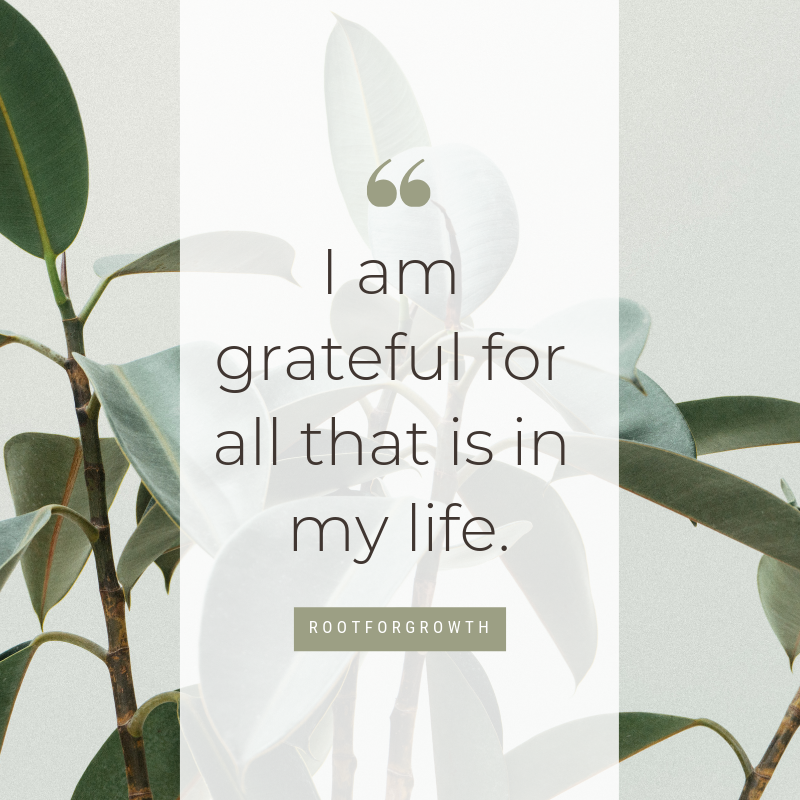 or if you're starting out on this gratitude affirmation, your initial affirmation might be "I don't have anything to be grateful for." But you can change this thought process by consciously saying the gratitude affirmations I'm suggesting to you. It might feel like you're lying at first, but once you get into the habit of saying good things about yourself instead of bad things, it'll gradually feel like what you are saying to yourself is true. 6. Have a gratitude jar. I got this idea from Happify. And, I must say this sounds fun and I'm gonna start doing it. So, what you do is you get a glass jar. Then, any time you feel grateful, you take a piece of paper and write it down and you put it in the jar. When you fill it, you take it all out and read the different things you were grateful for. 7. Use a gratitude app. Of course, there's an app for gratitude! There's an app for everything. A couple of gratitude apps you can use include Grateful: A Gratitude Journal and Gratitude - Happiness Journal. I personally don't use gratitude apps, but these had really good reviews on them. Know someone who needs a little gratitude in their life? Share this post with them via Pinterest, Twitter, and/or Facebook! Have any more ideas on how to practice gratitude? Or, know any more benefits to practicing gratitude? Share it in the comments below!